This versatile tilt and turn timber window is fully compliant and when correctly assembled and installed has been tested by BSI Testing Ltd. To BS5368, Parts 1, 2 & 3 and meets the requirements of the Classification for Severe Weather-tightness BS 6375, Part 1: 1989. Our tilt and turn timber windows feature a sophisticated dual action hinge mechanism and from its bottom-hung position, the sash ’tilts’ inwards, to provide fresh air without draught. 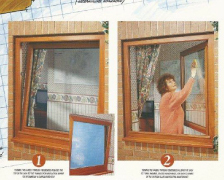 From its side-hung position it ‘turns’ into the room to make cleaning the outside glass and maintenance easy, and escape in an emergency possible. Fully Spray paint or stained finished to any RAL or BS colour.